Say it on your ring - forever! 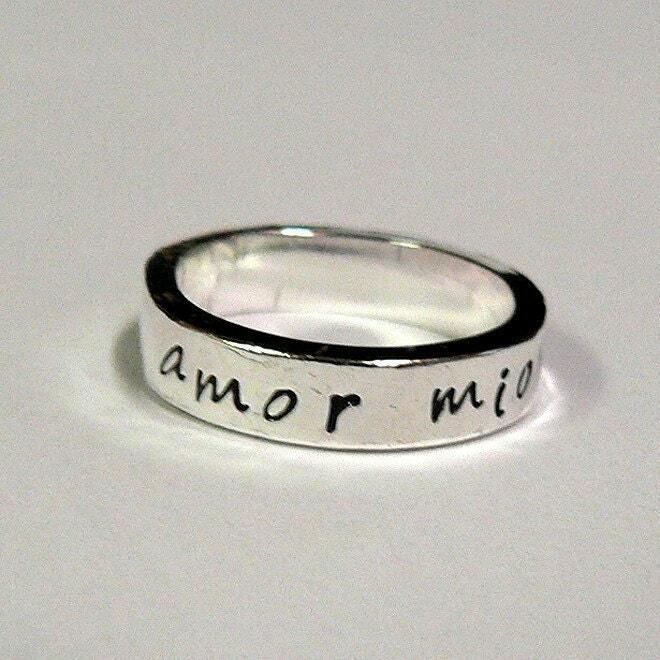 This custom made-to-order super thick ring is a great gift - for yourself or someone else. 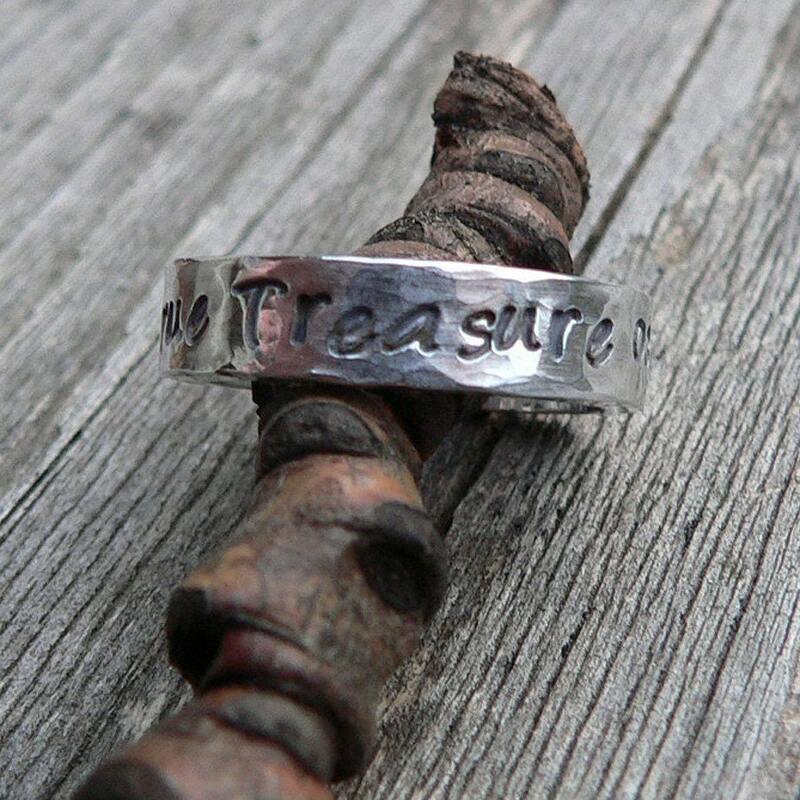 Makes a great men's ring, but women love them too! Available in ALL of our finishes, and MOST of our fonts. 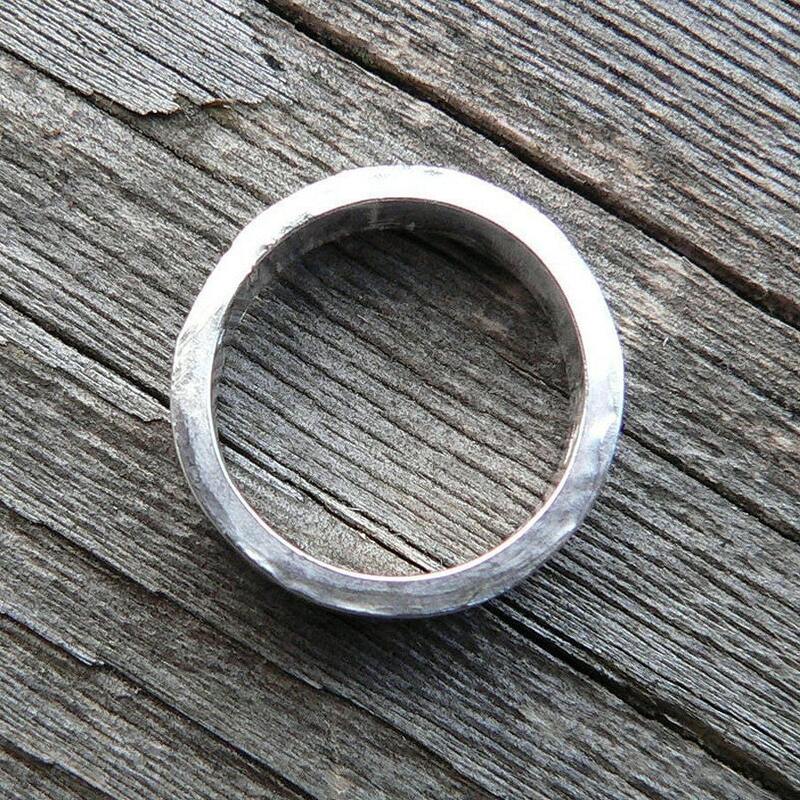 This ring is available in sizes 7-15 - due to the thickness of the ring it is not well suited to the smaller sizes.